however, if you prefer, any of the products can be ordered by contacting us. We only sell select, high-quality products that we believe in and use with our own dogs. The orders can also be collected from our classes. 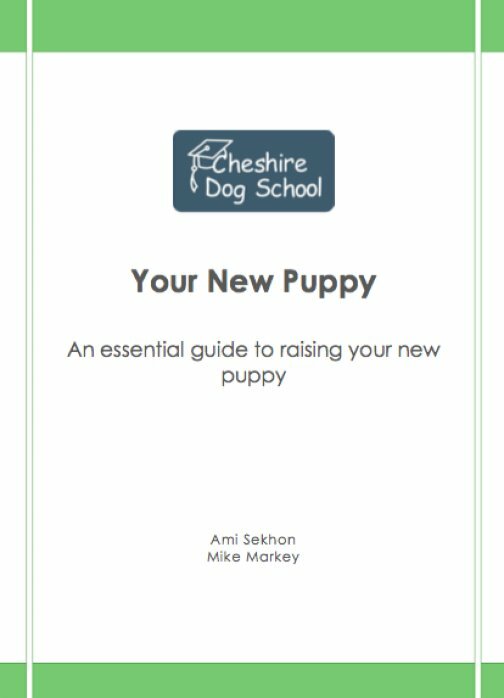 A 16 page comprehensive eBook, written by Cheshire Dog School instructors, based on our popular New Puppy Home Visits. The e-book will be emailed out as a PDF file once payment is received. Payment can be made through PayPal or you can order the book (and pay us) through our classes. using the secure PayPal server. The most tasty, irresistible dog treats we have come across!! Made from nothing but 100% Fresh Wild Salmon and Salmon Meal, this treat has a strong salmon smell, perfect for grabbing your dog’s attention. The biscuits are very easy to snap into little pieces and are dry and non-greasy, making them easy to handle. They also have a long shelf-life and can be stored atroom temperature making them the ideal treat to train with. 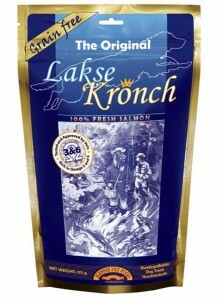 Naturally rich in protein, omega-3 and -6 fatty acids, vitamins and minerals. 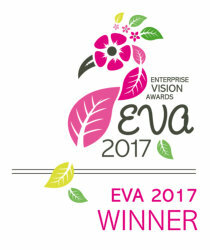 Contains no artificial preservatives, colourings or flavourings. After constantly recommending these lead sleeves for years we now have some to sell! One of the most difficult things when training your dog to have good manners in public is stopping well-meaning strangers from rewarding the exact behaviour you are trying to stop. Just think how often have you heard “Oh I don’t mind if he jumps up”! These lead sleeves tell people that you are actively training your dog. Nervous dogs, young puppies, shy dogs, over-boisterous dogs, over-friendly dogs, the uses for these Dog In Training lead sleeves are endless. One size fits all, they are fully adaptable to fit any width lead. 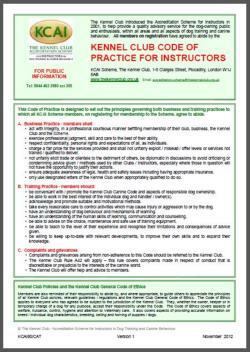 Available to collect from class. It’s possible to pick up your items at your dog or puppy’s training class; in which case please contact Cheshire Dog School to let them know and so that they can arrange to refund the delivery charge to you, when you collect.